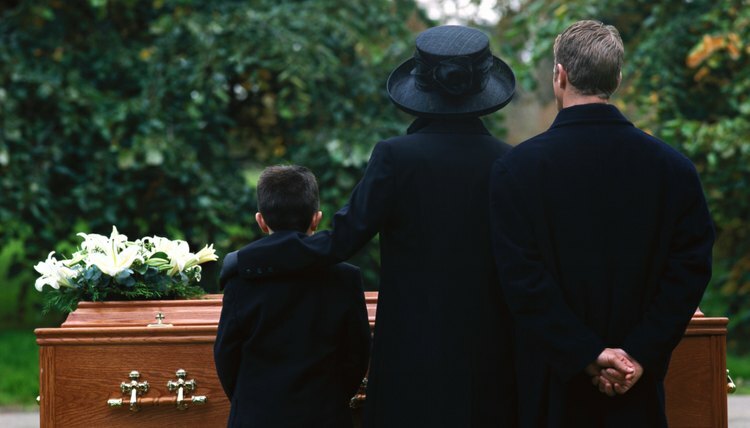 Death benefits, also known as survivor benefits, are typically money from a life insurance, health or accident policy, pension or retirement fund payable to a survivor or designated beneficiary upon the insured person's death. Common survivors and beneficiaries include spouses, domestic partners and children. Whether or not a debtor may keep death benefits after filing for bankruptcy depends on when those benefits are paid and whether they are protected by a state or federal exemption. Debtors often file for bankruptcy when they have been unable to find debt relief through other means. Two common forms of personal bankruptcy are Chapter 7 and Chapter 13. In a Chapter 7 bankruptcy, a court-appointed trustee liquidates a debtor's non-exempt assets, if any, and uses the proceeds to pay his creditors. Any eligible debts that remain are discharged, or eliminated. In a Chapter 13 bankruptcy, the debtor is not required to give up his assets; instead, he enters into a repayment plan -- based on his available disposable income -- lasting three to five years. Any eligible debts not paid at the conclusion of the plan are discharged. When a debtor files for bankruptcy, he creates a bankruptcy estate. The U.S. Bankruptcy Code describes the property included in this estate, which is essentially all property the debtor owns or has an interest in, such as a home or vehicle, at the time of filing. It also includes any property received within 180 days of filing, including proceeds from a "life insurance policy or of a death benefit plan." In other words, if the debtor received, or will receive, a death benefit within 180 days of filing for bankruptcy, it is part of his bankruptcy estate and may be taken to pay his debts in a Chapter 7 bankruptcy or used to calculate his payments in a Chapter 13 repayment plan. Generally, if a debtor received death benefits more than 180 days before or after he filed for bankruptcy, these funds are excluded from his bankruptcy estate. However, even if death benefits are disbursed within the 180-day period, a debtor may be able to protect these funds through federal or state exemptions. For example, under federal law, a debtor can exempt proceeds from a life insurance policy that insured the life of someone the debtor depended on so long as the funds are "reasonably necessary" for the support of the debtor and any dependents. In contrast, many states provide exemptions that cover death benefits generally, regardless of type. For example, New York exempts death benefits up to an unlimited amount provided the debtor is a spouse or dependent of the insured. Some states allow debtors to choose between federal and state exemptions, while others require debtors to use state exemptions only. Debtors who are unable to protect death benefits under a specific federal or state exemption may be able to do so through a "wild card" exemption, available in federal law and many states. The wild card exemption is a miscellaneous category debtors can use to protect nonexempt assets in bankruptcy, up to a prescribed limit. For example, a California debtor not claiming an exemption for his home may exempt death benefits under the federal wild card exemption up to $11,975 or the California wild card exemption up to $25,340. In a Chapter 7 bankruptcy, death benefits protected by a wild card exemption may not be seized to pay creditors; in a Chapter 13 bankruptcy, protected death benefits may not be incorporated into the repayment plan. Riviere, Cresci and Singer: What Happens to Inheritance and Life Insurance Proceeds in Bankruptcy? Bankruptcy Law Network: Must a Chapter 13 Debtor Report Property Received During the Case? Malcolm Ruthven: What Is This Bankruptcy 'Wild Card' I Keep Hearing About? Is it Better to Be on Disability When Filing for Chapter 7 or 13?